Echipa AVmall incearca sa mentina acuratetea informatiilor din acesta prezentare. Cu toate acestea, in anumite cazuri, pot aparea mici inadvertente pentru a caror semnalare va suntem recunoscatori. Ne poti contacta oricand pentru a clarifica eventuale nelamuriri. Nu uita sa mentionezi in corespondenta ta numele exact al produsul. Fotografia produsului Casti Yamaha EPH-M200 are caracter informativ si poate sa difere de produsul real sau sa contina accesorii neincluse in pachetul standard al produsului. Specificatiile tehnice pot contine erori de operare si pot fi schimbate fara instiintare prealabila de catre producator, neconstituind obligativitate contractuala. The world′s first* earphones featuring β-titanium sound tubes. β-titanium sound tubes allow the earphones to achieve a perfect fit in the listener′s ears through tiny slots cut with a high-precision laser, enabling them to flex to the shape of the ear canal. So although the earphones have a large 15 mm (5/8”) driver, they are a comfortable fit for a wide range of ear sizes. Additionally, by improving sound isolation, these earphones achieve a well-balanced bass with no sound leakage. The strength of the tube reduces resonance in the ears, and its shape is maintained even when inserted in the ears, avoiding the deterioration in sound quality that can occur with standard earphones due to a change in the shape of the ear buds. β-titanium sound tube allows you to enjoy a clear and detailed treble. The driver unit specially developed for EPH-M200 uses a powerful neodymium magnet. 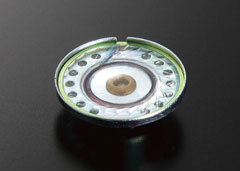 In addition, the diaphragm employs Yamaha′s unique tangential edge technology. This combines stiffness and flexibility with a unique shape to produce an optimal movement of the diaphragm, allowing the EPH-M200 to give exceptionally powerful bass reproduction as well as a detailed, natural treble. The housings are made from PC-ABS, a material that combines polycarbonate and ABS for high rigidity, helping to reduce resonance in the ear emanating from the inside of the housing. The housing design also optimizes flow resistance in the operation of the diaphragm due to the twin acoustic ports, which function as vents. 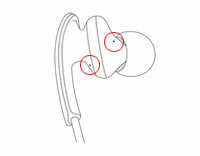 The housing enables precise, rounded bass reproduction. 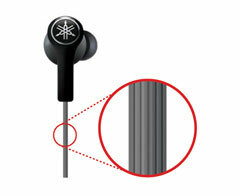 Yamaha has developed ear buds specifically for EPH-M200 intended to maximize the effects of the β-titanium sound tubes. By using a silicon material that combines flexibility and moderate solidity for parts adjacent to the β-titanium sound tube, high tracking capability has been achieved that allows the ear buds to fit snugly when inserted into the ear canal. 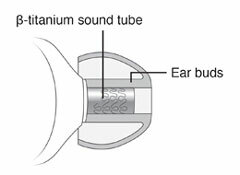 Also, the synergy with the β-titanium sound tube, which is longer than standard sound tubes, prevents the tip of the ear buds from being deformed when inserted into the ear. The result is a superb fit that allows users—including people with smaller ears—to wear ear buds one size smaller than usual. Moreover, excellent properties of adhesion prevent deterioration of sound quality due to sound leakage. In addition to the standard S, M and L-sized ear buds that are included with the earphones, the EPH-M200 also comes with SS and LL sizes. All sizes offer excellent performance in terms of wearability. The shape of the different sized buds has been optimized by adjusting the ratio of the diameter to the height. They can be inserted deep into the ear canal, achieving a comfortable fit without falling out even while walking or exercising. Naturally, they also minimize sound leakage, an important consideration when listening to music in public spaces such as on the train. 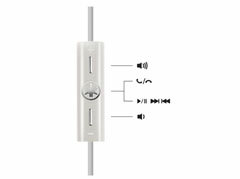 The 1.2 meter (47-1/4”) cord has an iPhone/iPod/iPad-compatible inline remote control/microphone you can use to select tracks and adjust the volume, as well as use for voice communications. The convenience and simplicity of the remote control/microphone means you can leave your player in your pocket or bag at all times. The surface of the cord is serrated to reduce friction. This not only reduces cord tangling, it also helps realize high-quality sound through the reduction of friction noise through the cord. The serrated cord also allows you take out your earphones and remote control neatly while listening or carrying for greater ease of use. The gently curved form of the body eschews excess ornamentation, expressing a simple design concept augmented only by Yamaha′s iconic tuning fork logo. The coated finish is beautiful to look at and gives a sense of overall quality. Select your favorite color from our line-up of three choices. Yamaha has given meticulous attention to the finest details of the design of the EPH-M200, coordinating the colors of the remote control and cable with the color of the body. 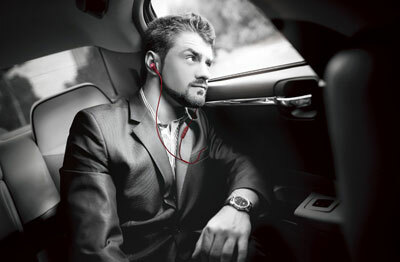 Enjoy your music in style with earphones that you can wear as an accessory. The EPH-M200 comes with a carrying case made of a luxurious textured material that is fingerprint-resistant. The simple form allows you to store your earphones neatly and stylishly in your bag, convenient for when you are not using them or for carrying during travel. Nu sunt recenzii pentru Casti Yamaha EPH-M200. Fii primul care scrie una!